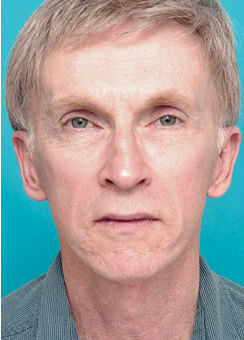 Case-6693 - Patrick Sullivan, M.D. 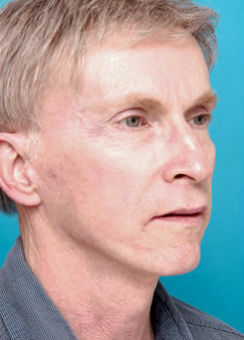 This is a sixty-one year old gentleman who was concerned about the deep wrinkles, the laxity in his face and neck area and the rough contours in his skin. 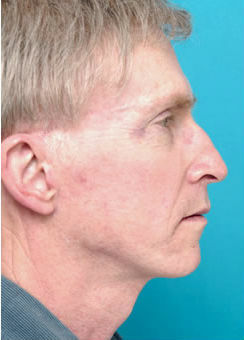 His face and neck rejuvenation included adding fat through liposculpture techniques to multiple areas of his facial region with an emphasis on filling in areas that appeared deflated. 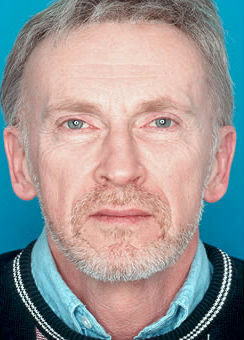 Lifting was done of the excessive skin in an effort to hide the scars. 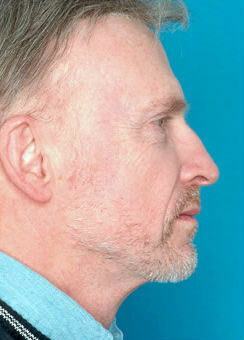 Incisions were carefully placed around the ear using natural lines and contours to camouflage them. 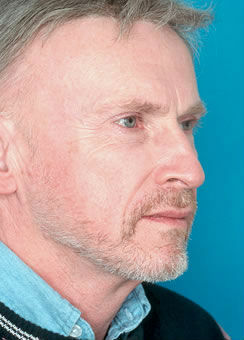 Though it was time consuming, it did prove beneficial in hiding incisions in a male who wears his hair short.